The new 40-story Market Square Tower will have a 13,000-SF CVS Pharmacy. HOUSTON – Woodbranch Investments Corp. announced that CVS Pharmacy will be the first retailer located in Market Square Tower, the new 40-story high-rise multi-family apartment building, the tallest residential tower in downtown Houston.. Located at 777 Preston St. in Downtown Houston’s Theater District, the high-rise apartment tower has 463 units. The new 13,000 SF CVS new store will be located at the corner of Congress and Milam in the north part of downtown. Market Square Tower’s 463 private residences will range from 564-square-foot studio apartments to three-bedroom, three-and a-half-bath spaces measuring 1,950 square feet. 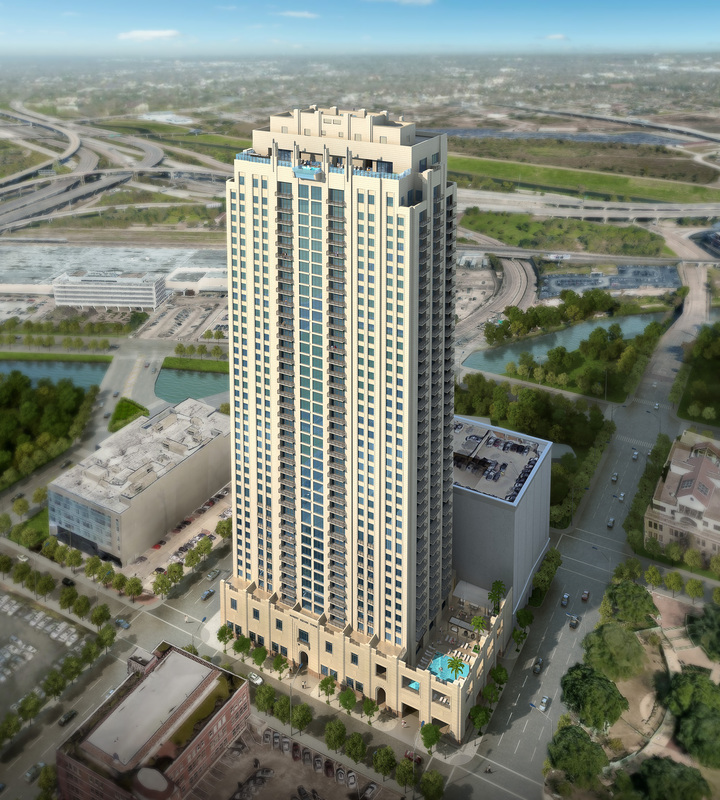 The Market Square Tower is one of a number of new multifamily projects in downtown Houston. The residential construction boom has been stimulated through Houston’s Downtown Living Initiative, a tax rebate program that encourages residential development in the urban core. The program offers up to $15,000 per unit for multifamily complexes of 10 apartments or more built downtown. Market Square Tower’s 463 units will bring in $6.945 million via the rebate route for the developers.